Whether it’s a single room or a full interior repaint, our professional painting contractors can meet all your interior house painting needs. We also provide you with a free color consultation that can help you choose the perfect paint scheme for your home improvement project. Our interior painting services are going to help you liven up your home! Whether you’re wanting to match a certain decor you already have in your home or you’re wanting to try something new, we’re ready to help you get started on your interior painting! All decks need care from time to time, but many will go for years without a proper seal against moisture and impact damages. Turning dull and gray, the deck soon looks old and worn when it could remain beautiful and lustrous. A deck that’s seen repair and has been properly sealed can last for decades. But a deck that’s been neglected will suffer with rotting, warping, scratches, and other damages. 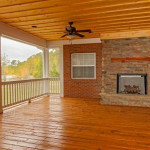 Deck staining or restoration can be handled by our team at One Man and A Brush. If repairs need to be made, we can handle that for you as well. 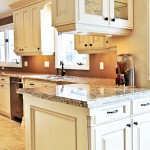 Many of our customers love our cabinet painting services as an alternative to replacing their kitchen cabinets and bathroom vanity. We can also paint any of your home’s shelving systems, office cabinetry, or any other piece of built in woodwork you need painted. Special finishes or faux finishes are no problem for our experienced painting contractors. And not to worry if you don’t have any ideas on cabinet painting because we can help you figure out the best color and painting techniques to go with your home. 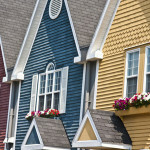 Getting your home’s exterior pressure washed is going to make it stand out once again. There’s no better way to clean up your home after a season of weather here in the Woodstock area. 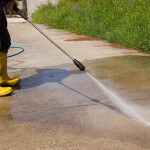 We can pressure wash your roof, siding, sidewalks, driveways, garage floors, decks, and more. We know how to properly pressure wash all your home’s exterior surfaces, especially any delicate areas that could be damaged. As professional contractors, we’ll provide you with affordable rates to clean up your exterior with pressure washing. If you are looking for a professional painters in the Woodstock area then please call 678-368-5115 or complete our online request form.